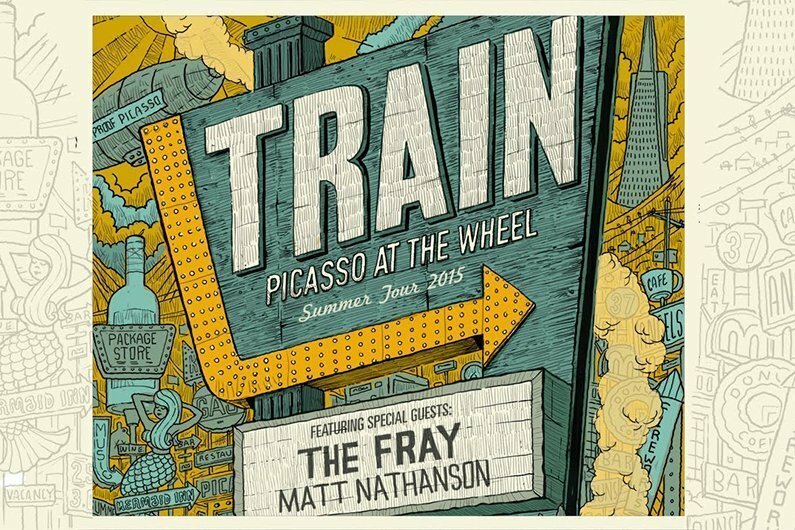 As 2015 tours are taking shape, Train announced that they'll be joined by The Fray and Matt Nathanson for their Picasso At The Wheel 2015 summer tour. Face value tickets are priced anywhere from $99 to $32 for the cheapest of the cheap seats (including taxes and fees). When do Train / The Fray tickets go on sale and what's the presale code / password? All concerts may have different details, so we suggest you check the primary ticket link in the table below. The first ticket sales begin on Tuesday, January 20 at 11 AM local time. That includes the Train presale and VIP Tickets, which are followed by the Facebook, Citi Cardmember, radio, and venue presales. Tickets go on sale to the general public on Saturday, January 24. The Train presale code is PICASSO, the Live Nation presale code is HEADLINER, the Mobile App presale code is COVERT, and the Facebook presale code is MERMAIDS. Get great seats and save yourself a headache by buying from a reliable ticket broker like SuperStar Tickets, a Zumic preferred ticket reseller. Use discount code SHOPCONCERTS for 5% off your purchase. Get more info about the tour, as well as the VIP packages, at Train's official website: savemesanfrancisco.com.